Herman Leopold Bazin was born May 10, 1925. He is a ninety-one year old WWII veteran. 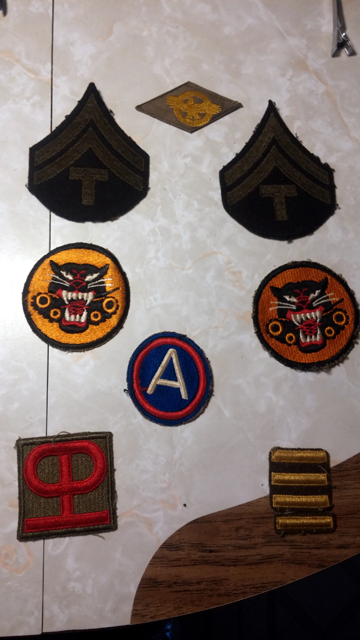 Born and raised in Lawrence, MA, Mr. Bazin graduated from High School in June 1943 and was drafted into the Army shortly after that in July of 1943. Bazin and his fellow draftees were sent to the Fort Devens staging area for ten days. They landed in Liverpool, England and stayed in the open fields with tents. They marched through the south of England and boarded the amphibious craft in the staging area. These ships would deliver the soldiers and their artillery, tanks etc. to the exact point of engagement in Belgium and France. The tanks were already in the location and Mr. Bazin with the others, were dropped off near the tank area. Mr. Bazin was an Army Tank Tech 5. In the very close quarters there would be up to five men inside one tank. They had the gunner, loader, machine gunner, tank commander and driver. It was so tight in there the men had to sit on the live shells. A battle was referred to as a Campaign. The men had to stay inside the tank throughout the campaign. That could be 3 to 5 days. This particular campaign was later known as The Battle of the Bulge. It took place six months after the D Day invasion in Normandy, France. The “bulge” was a strategic line formation that prevented the Germans from breaking through and getting to Antwerp, the port city in Belgium, to take it over and drop their submarines in the water and wreak havoc on enemy ships. The Battle of the Bulge went on from December 16, 1944 through January 25, 1945. It was the last major German offensive campaign of World War II. Thankfully, Mr. Bazin returned home in 1945. He tried working at some of the local factories in Lawrence, MA. He utilized the GI Bill for school and graduated from Northeastern with a degree in Chemistry. 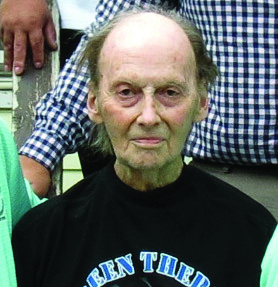 He worked in a chemical factory in Somerville, MA for a number of years. Mr. Bazin still resides in the family home in Lawrence, MA. He never married or had children but did live in the house with his sister and her husband years ago. JT. Torres and his organization looks after him to make sure he receives all the help, food, benefits and medical attention he needs. Last November, when JT Torres found out that the bank was about to foreclose on Mr. Bazin’s home on Brookfield Street in Lawrence, he and the volunteer veterans from Veterans Assisting Veterans, The Owl Diner in Lowell, New England Veterans Liberty House and the City of Lawrence, pitched in and paid off his mortgage. Not only did they show up to give Mr. Bazin a check for his house, but they went through his home and cleaned it out and even brought Mr. Bazin lunch. 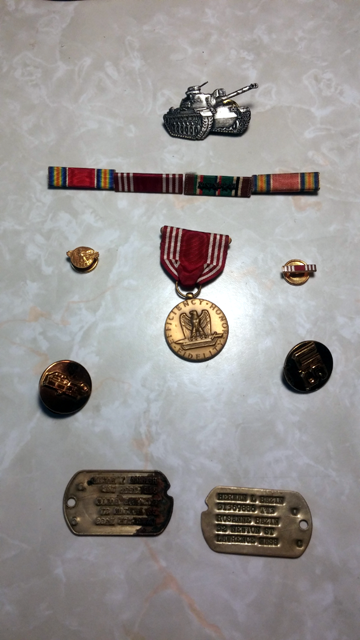 Medals: WWII Victory Medal – Army Good Conduct Medal – Eastern European Campaign Medal with Five Bronze Stars, Army Good Conduct ribbons. Mr. Bazin, thank you for your service and sacrifice to our nation. You are truly a “Hero in Our Midst” that we can never repay. Thank you Mr. Bazin for your service.